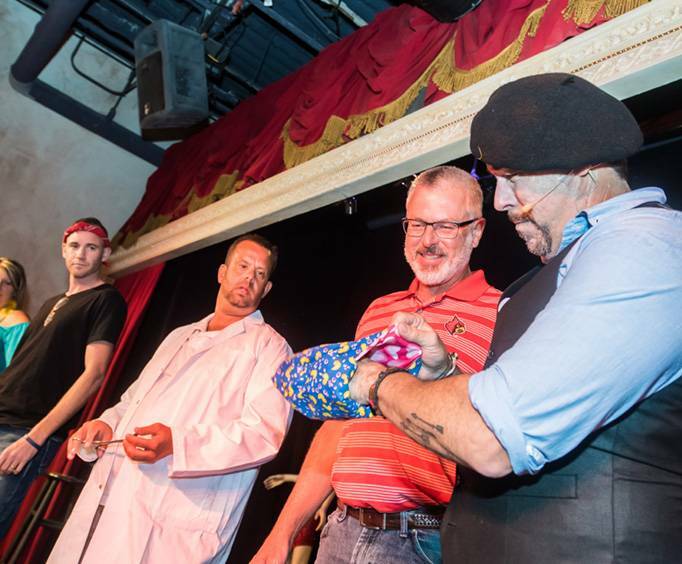 Join Orlando’s best kept secret, the Outta Control Magic Comedy Dinner Show, as it offers its visitors a truly out-of-control experience with laughs and imaginative sketches, as well as a great dining experience during your trip! Expect to be impressed at this interactive, entertaining, and hilariously funny dinner show! 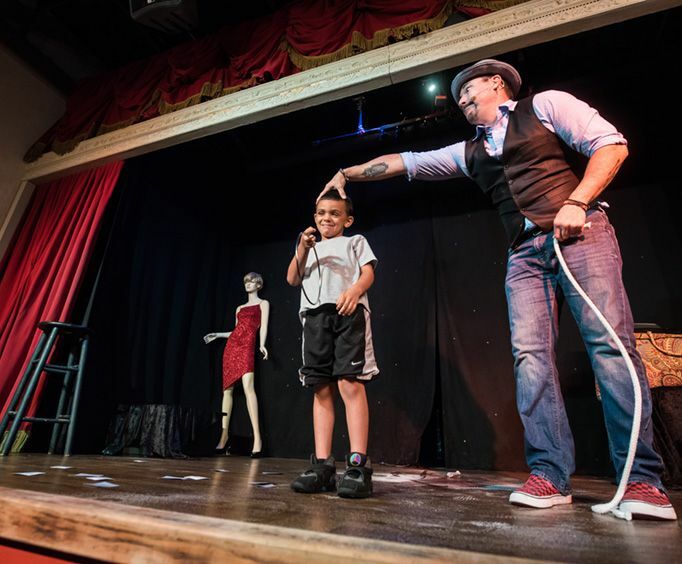 Throughout the evening, you’ll witness a variety of entertainment, including music, magic, and comedy, all sprinkled with a healthy dose of audience participation for an immersive entertainment experience. 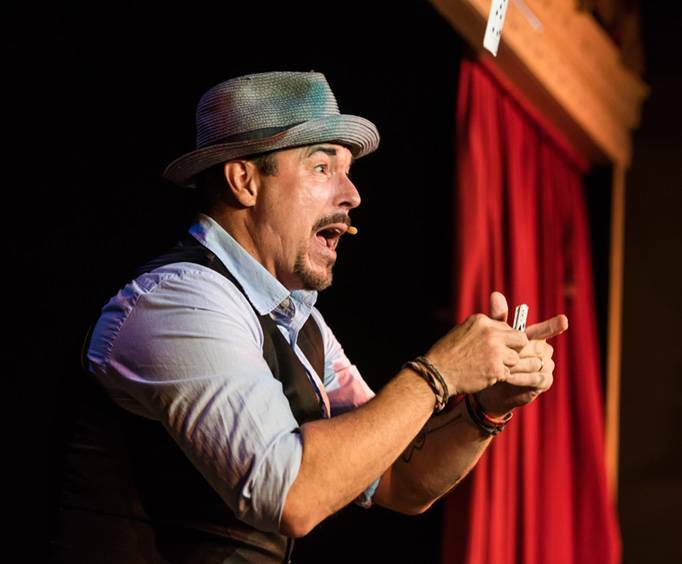 Join Tony Brent, the one-man cast of dozens, as he combines a mixture of amazing magic, impersonations, and high-energy improvisational comedy to thoroughly entertain audiences of all ages! Minds will be read, predictions will come true, and audience members’ personal items will vanish and reappear. A dinner show unlike any other, this comedy dinner show offers only 125 seats per show and provides a one-of-a-kind entertainment experience to the Orlando area with non-stop audience participation! The crowds don’t just watch the show, they become part of it. Visitors to the show receive table-side service with unlimited fresh, hand-tossed cheese and pepperoni pizza, salad, and popcorn, as well as unlimited beer and wine (for those of age), soda, and dessert for a laid-back dining experience that is sure to fill you up and fit perfectly with the whimsical show that accompanies the delicious food! It is a wonderful addition to Florida family packages. With the Magic Comedy Dinner Show & WonderWorks Combo you can enjoy a full day at WonderWorks prior to the show. Experience all the wonder and fun of these amazing exhibits. Lie on a bed of nails, experience flight and earthquake simulators and design your own rollercoaster ride. After a day of fun and enjoyment, relax with one of the best shows in town. Your show will combine magic, music, song and laughter. The comedy portion of the show is truly hilarious and all of the acts feature considerable participation by the audience. Experience the fun and magic of the hands-on exhibits at WonderWorks. WonderWorks gives guests the chance to experience earthquakes, lay on a bed of nails, and even allows you to create your dream roller coaster. There is no end to the excitement and wonders at WonderWorks! The Laser Combo gets you general admission to the dinner show and one game of laser tag! Great entertainment!! We really enjoyed it! !